Fresh juice provides us with minerals, vitamins, essential fatty acids, carbohydrates, proteins and much more. All of these factors are vital to maintaining good health. By making a fresh juice a part of your daily diet, you’ll have increased energy, a glowing complexion, strengthened immune system, stronger bones and a reduced risk of disease. Since we pride ourselves in striving to produce fresh, nutritious and tasty food, juices and smoothies oozing with goodness are one of the most important parts of our menu. A blend of beetroot, orange, carrot and mint that helps lower blood pressure and cholesterol. 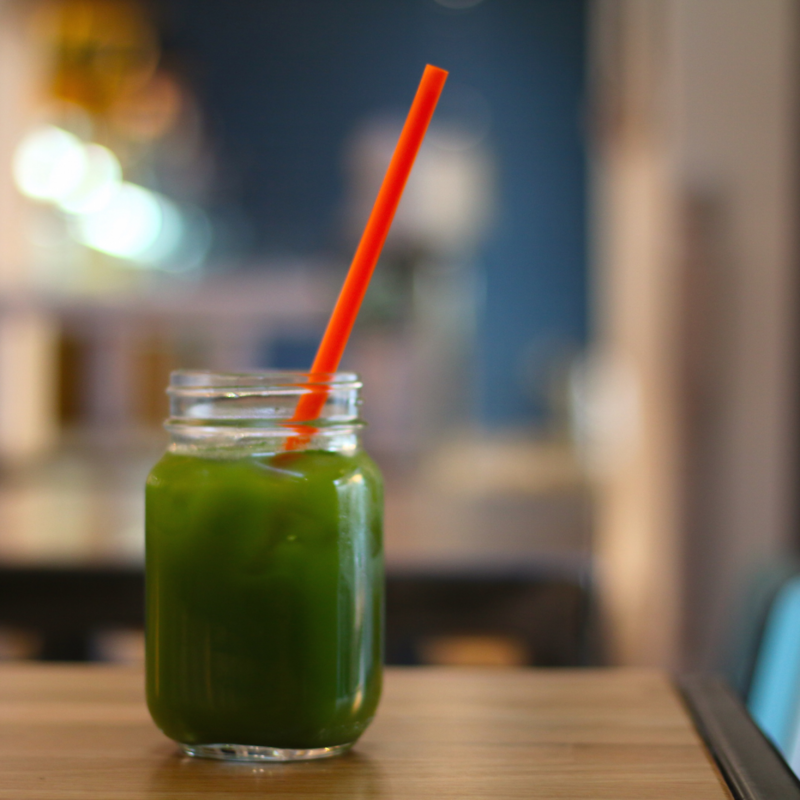 For this one we combine spinach, kale, apple, lime, ginger and cucumber giving you an excellent source of vitamins. Carrots are great for our eyesight. When they’re mixed with apple, turmeric and ginger they create a juice that isn’t only extremely good for you but tantalises the taste buds too!